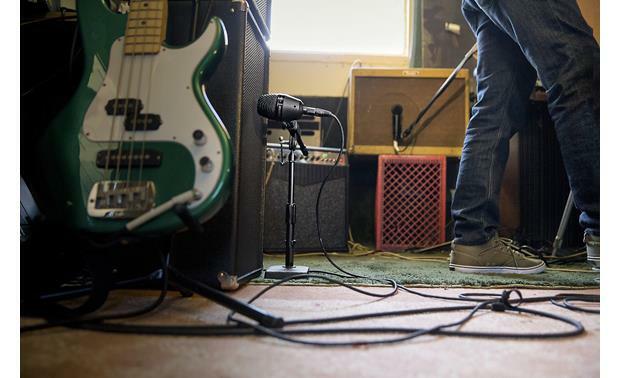 Shure's PGASTUDIOKIT4 package includes four microphones that can handle a variety of recording situations.The PGA52 dynamic drum mic was designed for a kick drum or bass amp. 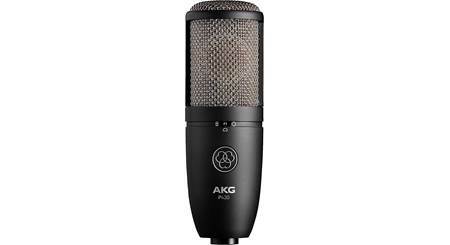 You can use the PGA57 dynamic microphone to mic a snare drum or a guitar amp, while the two side-address PGA181 condenser microphones can be used to mic amplified or acoustic instruments, or even vocals. 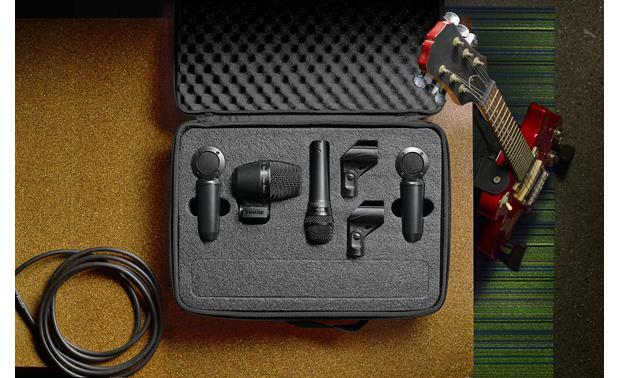 The package also includes four XLR cables and a sturdy carrying case for mic storage. 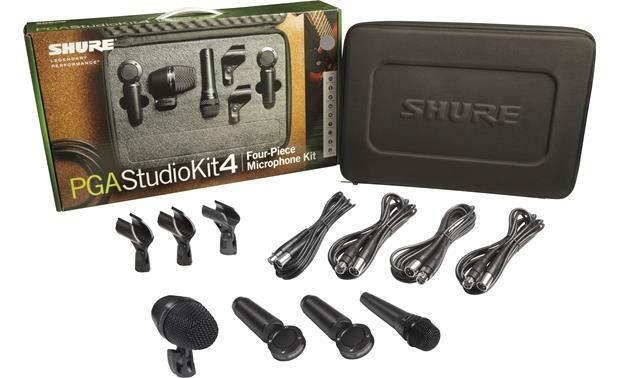 Overview: The Shure PGA Studio Kit 4 is a four-piece microphone kit designed for use in the recording studio, but can be used for live performances, as well. 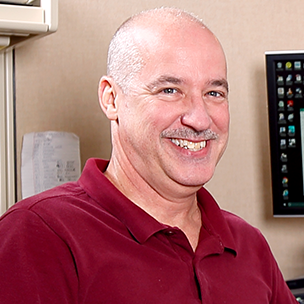 All of the microphones are from the PG ALTA series of professional-quality microphones. 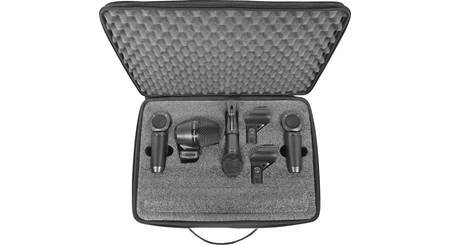 The kit includes a drum microphone, and three multi-purpose instrument and vocal microphones. 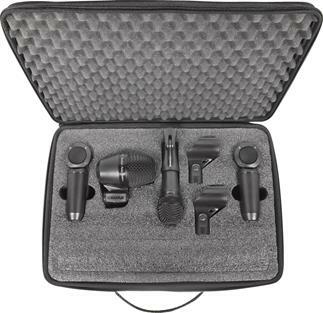 Four 15' XLR microphone cables are included, along with three mic clips, and a soft zippered carrying case. PGA52: The PGA52 is a cardioid dynamic kick drum microphone, designed to deliver solid low-frequency performance for recording and performance applications. 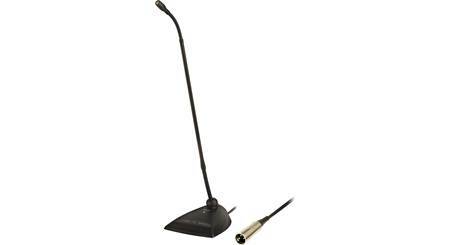 It features an integrated mic clip with a swivel joint and quick-release latch for quick angle adjustments. PGA57: The PGA57 is a cardioid dynamic microphone for amplified and acoustic instrument performance and recording. It comes with a microphone clip (A25D) for mounting on a stand. 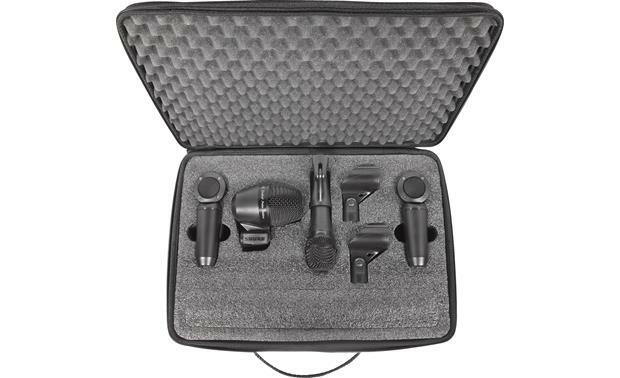 PGA181 (2): Two PGA181 microphones are included in the kit. These side-address cardioid condenser mics are ideal for vocals, as well as acoustic and amplified instruments. The PGA181 requires phantom power (+48V DC). Two microphone clips (WA371) are included. Cardioid Pickup Pattern: All of the microphones in the PGA Studio Kit 4 have cardioid polar patterns for maximum gain before feedback, and excellent rejection of off-axis sound. Connector: The microphones in the kit have 3-pin male XLR connectors. Thread Adapters: Four 5/8"-to-3/8" thread adapters are included. These adapters allow the four included mic clips to be attached to mic stands with 3/8" threaded connectors. Length: 6.458" Shaft Diameter: 1.571"
Searches related to the Shure PGASTUDIOKIT4 Microphone Bundle Four mics with XLR cables.